Have you ever wondered what 600,000 square feet of Filigree looks like? Mid-State Filigree (MFS) can now answer that question. 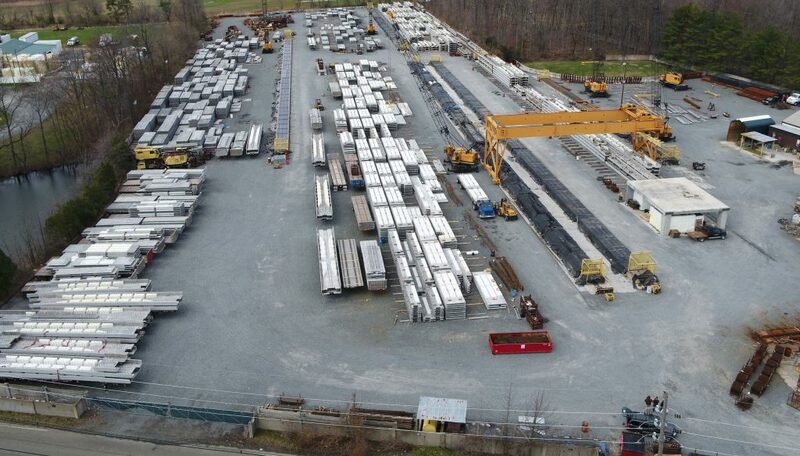 MFS has gone high-tech on recent projects using drone cameras to photograph and videotape the massive 16 acre Cranbury, N.J. manufacturing facility. With the capability of storing such a large amount of Filigree in the yard, MFS can provide a timely delivery to construction sites. This Spring, MFS took that technology one step further using video and photographs for construction evaluation. 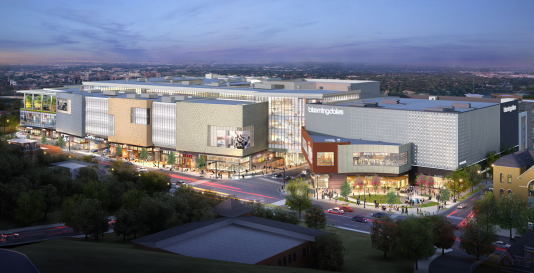 MFS continues to supply Filigree to the “The SoNo Collection” Mall project at a rate of 30,000 square feet of Filigree each week. The Norwalk, Connecticut garage consists of approximately 1.2 million square feet of Filigree slabs and 60 to 80 foot long beams. One of the most recent projects for MFS is an 18-story glass structure, named The Nest, that will consist of 192 dwelling units for Temple University students. 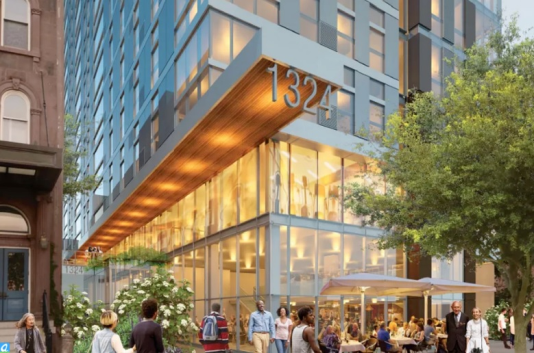 Philadelphia-based developer Bock Development Group and architectural firm Cecil Baker + Partners broke ground and starting using filigree on the residential tower at 1324 N. Broad St. in late March. More than 208,000 square feet of filigree will be used at The Nest. Upon completion, the building will consist of fully-furnished luxury apartments in a safe environment. Amenities include an outdoor terrace, a game lounge, a tech center, an event lounge, a fitness center, and four high tech study lounges.